HOW MANY WORDS CAN YOU WRITE WITH THESE LETTERS? HOW MANY WORDS CAN YOU WRITE WITH THESE LETTERS? 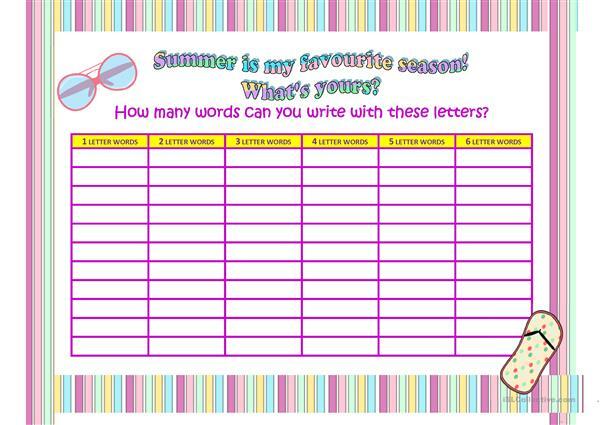 Using the letters from ‘SUMMER IS MY FAVOURITE SEASON. WHAT'S YOURS?' students create new words. The present downloadable teaching material is recommended for high school students, elementary school students, kindergartners and nursery school students, adults and students with special educational needs, learning difficulties, e.g. dyslexia at Beginner (pre-A1), Elementary (A1), Pre-intermediate (A2), Intermediate (B1), Upper-intermediate (B2), Advanced (C1) and Proficient (C2) level. 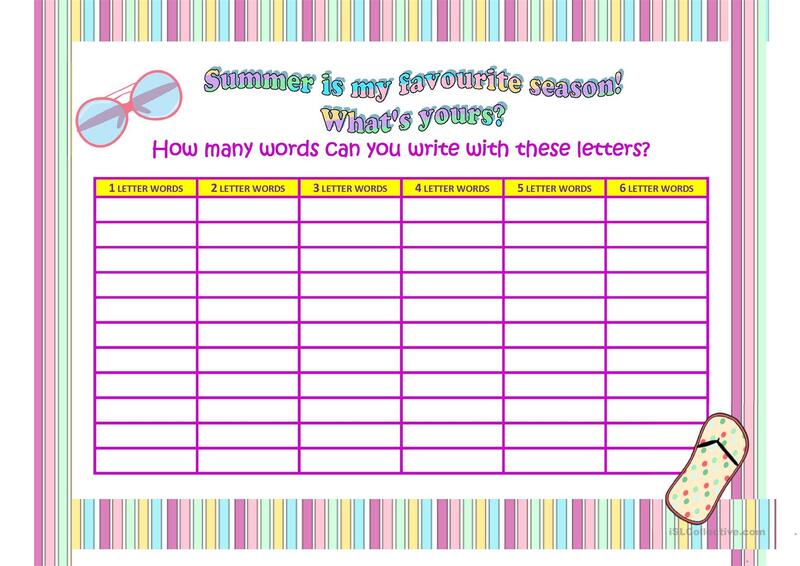 It is excellent for developing your pupils' Spelling, Speaking and Writing skills.